Country Funk was a folk-rock/country-rock group whose members at one point played in earlier psych pop combo Adam. The group materialized in Los Angeles but then moved out to Boston where they played all the well known venues of the day. Country Funk shared the stage with many of rock’s biggest names and because of their affiliation with Beantown, the group are usually remembered (unfairly so) as part of the Bosstown Sound. From 1968 to 1970/1971 they recorded quite a bit of studio material, enough to fill out two albums. In 1970, Polydor would release Country Funk’s only album in a generic blue sleeve with a black and white photo of the band. 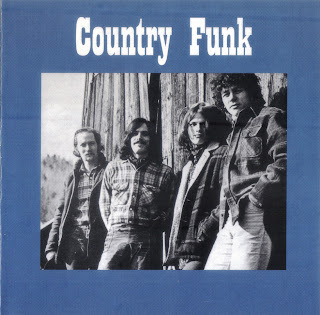 While no classic, Country Funk is still a very good album (kind of a mini gem) thats appeal lies in its consistency (no weak tracks) and timeless sound – think Buffalo Springfield, The Byrds, CSN&Y and Poco. The group clearly had a knack for blending the blues, country, hard rock, folk, and psych into something that’s refreshing. The members of Country Funk could also play and write with the best of them, never overextending their songs or falling prey to dated 60s cliches. 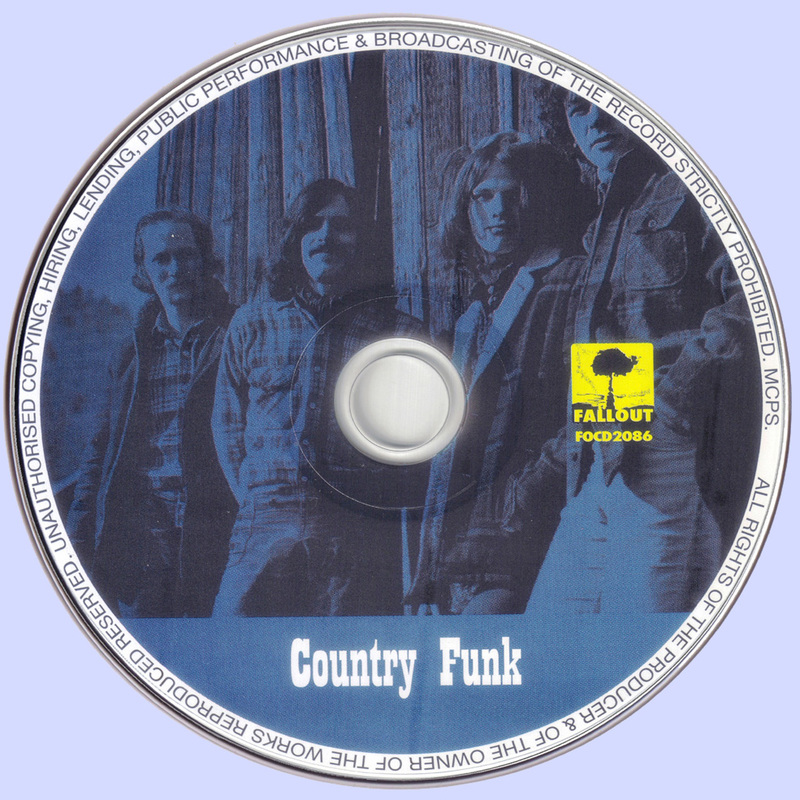 Country Funk tempers the album’s softer moments with hard edged fuzz tone guitar workouts such as “Another Miss” and “When I’m Without You.” These cuts give Country Funk an attractive classic rock/psychedelic edge. Also, songs like “Poor Boy,” “For Me,” and “Really My Friend” deliver the classic West Coast style folk-rock goods with aching melodies and harmonies to spare – not to mention tambourines and fine, world weary vocals. Given the quality of Country Funk, one wishes the group had stuck around long enough to record a follow up to this very promising LP. Solid songs and thoughtful songwriting, succinct guitar solos, good use of fuzzbox and spirited vocals make Country Funk one of the finer, unsung American LPs of it’s time. Its been reissued no less than three times but our nod goes to British label Slipstream, who is now offering a group authorized version of Country Funk, which includes the single sides by precursor group Adam. Thanks for the nod to Slipstream Records. For anyone interested in the full Country Funk story check out issue 3 of my fanzine - Fantastic Expedition.